The Phlegraean Fields—one of the most active and volatile volcanic regions in the world—is at the early stage of a new cycle that could culminate in another gigantic eruption, according to new research. But not for several thousand years. Enormous eruptions that took place 39,000 and 15,000 years ago, in addition to countless minor eruptions, formed the calderas in the region—located near the bustling metropolis of Naples. Smaller volcanoes also erupted repeatedly during the period in between. A cycle begins with the accumulation of magma in a large reservoir in the Earth’s crust, a process that takes millennia. Long periods of dormancy and small eruptions of differentiated magma characterize this stage. A further injection of magma into the magma chamber triggers an enormous eruption. The reservoir empties abruptly, the roof collapses, a new caldera forms, and the cycle begins anew. Rock samples from 23 earlier eruptions at the Phlegraean Fields provided the researchers with evidence of the start of a new cycle. In particular, rock material from Monte Nuovo, which last erupted in 1538, resembles rock ejected just before the last two major eruptions. The researchers took advantage of the fact that the chemical composition of minerals from magmatic rock stores information on the conditions under which it originates. A comparison of the chemical signatures of rock from different eras enables volcanologists to reconstruct the conditions in the crust at the time of its formation. This allows them to determine the current stage of the magma system. The volcanologists also created a model of the cycle. “The importance of this study is that we can reconstruct from past eruptions the rhythm that super volcanoes have, and hopefully predict where they stand in their cycle. Here of course, in the Phlegraean Fields, but doable in principle in any super volcanoes on this planet,” says Olivier Bachmann, a professor at ETH Zurich. 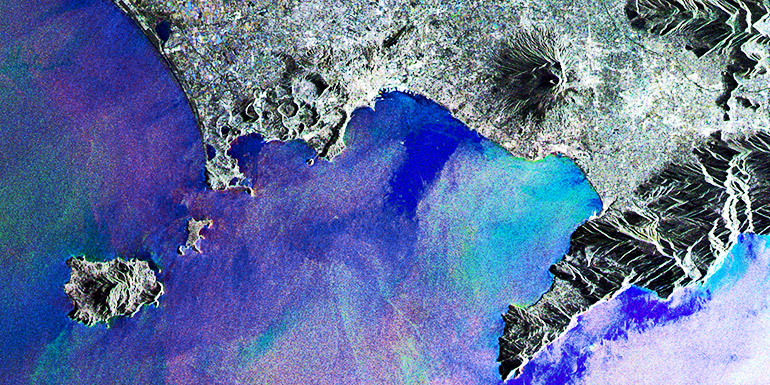 Despite these advances, the researchers can’t predict when the next major eruption at the Phlegraean Fields may occur. Nonetheless, it is important to continue to monitor the evolution of the Phlegraean Fields on a sustained basis. Forni warns that even a small eruption, which can occur during the early stages of a cycle, would wreak havoc on the region. Early warning signs of an impending eruption of a magma chamber include land elevation and changes in the composition of the gases the Phlegraean Fields emits. A massive volcanic eruption would be devastating not only for the Naples region but the entire world. Super-volcanoes have caused short-term climate catastrophes, crop failure, and famines in the past. The eruption of the Indonesian super-volcano Tambora in 1815 is a well-documented example: the following summer was dubbed the “year without a summer,” and even Switzerland suffered crop failure. The research appears in Science Advances. What’s going on with that Kilauea volcano in Hawaii?